Sweden is currently reorienting the basic and postgraduate education of health professionals to respond to the growing demand for treatment and management of NCDs, such as cancer, heart disease, stroke and diabetes. This transformation process stems from the Swedish Government, but is a result of collaboration with universities, health-care providers, patient organizations and professional organizations. It will create a system that can better respond to the need for care of chronic conditions and take a multidisciplinary, people-centred approach. The Swedish health-care system, while characterized by high-quality outcomes and ranking high in international comparisons, still faces many challenges. The high prevalence of chronic diseases due to an ageing population, which require interventions by multiple health professionals, is one key example. Despite the fact that NCDs constitute 85% of the disease burden in Sweden, the health system is primarily focused on providing acute care. The reorientation of health professions education aims to address this imbalance and ensure that it can meet the increasing needs for prevention, health promotion and long-term support and treatment of NCDs. The new focus on people-centred care in Swedish health professions education intends to better meet the needs of patients by providing easy and equitable access to health services, while ensuring the continuity and coordination of care. One of the groups most affected by this transformation is Swedish medical students. Though the process has been initiated only recently, the first adjustments are already tangible: “The biggest change is the shift from hospital care to primary care,” says Alexander Tejera, a fourth-year medical student at Lund University, Sweden. Medical students are now encouraged to complete their residencies in primary health-care facilities; previously, they would have been expected to complete residencies only in hospitals. Making such changes can be challenging. “Primary-care centres are often perceived as underdeveloped,” Alexander explains. According to the medical student, one of the most important parts of the health education reform is “changing the mindset of students to see the value of going out to the primary-care centres and into smaller hospitals”. A further change in health professions education in Sweden is the shift from subject-based to competency-based education. This will help train general practitioners who are better equipped to serve in first-line facilities. For the medical students, people-centred care goes far beyond traditional health care: “It is a dialogue and requires a team-based approach with the patient, physicians, nurses, social workers and whoever is needed for the disease included in the team. 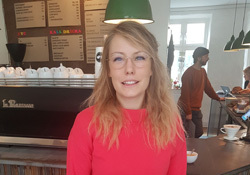 People-centred care is a package,” Johanna Henriksson, a fifth-year medical student at Lund University, explains. By transforming its health professions education, Sweden aims to create such dialogue and put people and communities – not diseases – at the centre of health care.